I had a couple of hours free on a Friday evening before I was due to head out to see some of the performances at the local street art festival. 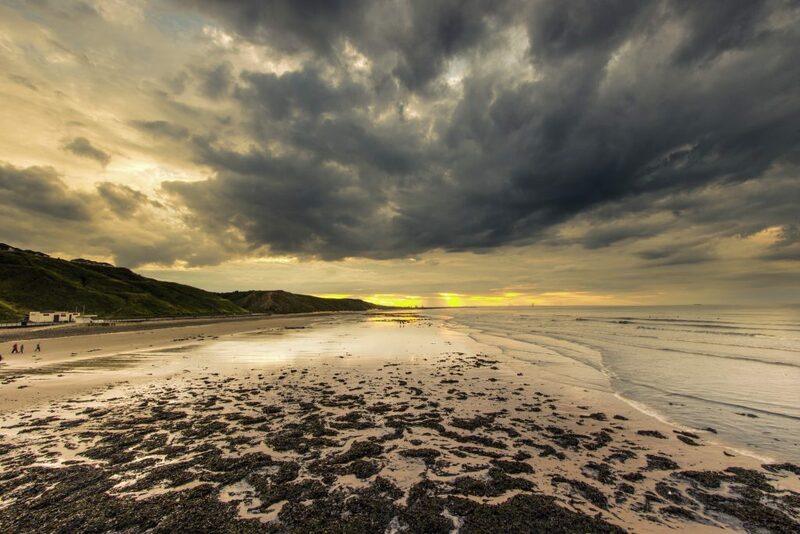 I decided to set off to Saltburn having had it on my list of places to visit for a long time. 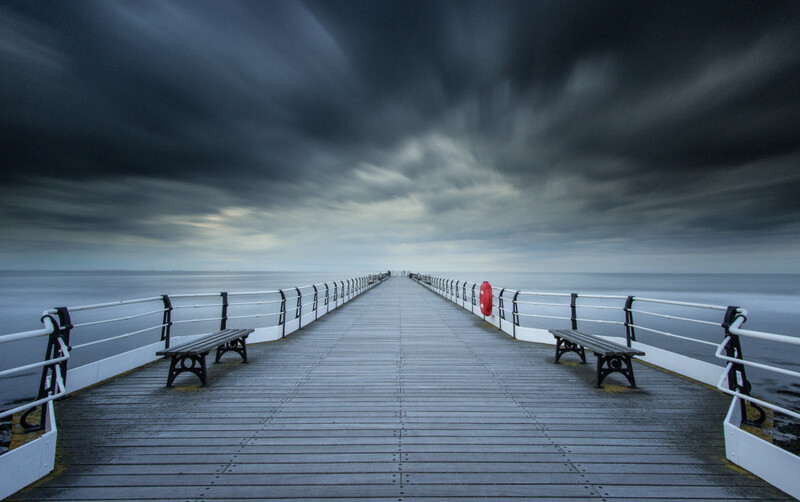 Many a photograph in Saltburn has the pier as the centrepiece so I figured this would be the best place to start! The tide was low and the pier full of surfers, couples and families eating fish and chips. 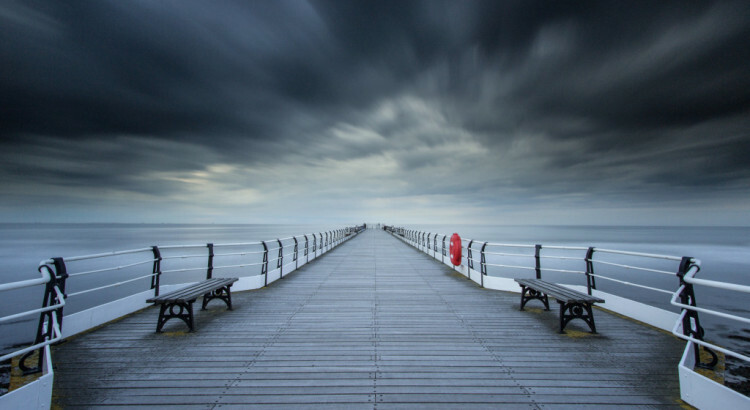 I turned around and spotted the way the pier curved outwards wrapping the benches and set up in the centre of the pier to capture the symmetry. The 10 stop ND filter melted away the people and made the streaks in the clouds. Time just disappears the minute the camera leaves the bag and I made a hasty retreat before I was late. I earned my very first ‘Flickr Explore’ with this photo and it resulted in more than 35,000 views and 1,800+ faves and comments in 48 hours. 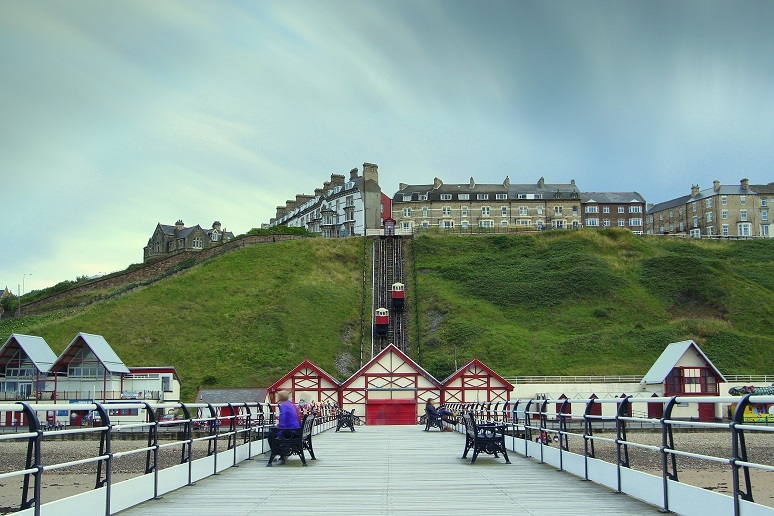 Saltburn Pier, Saltburn, Cleveland, TS12 1HQ. Two pay and display car parks are within five minutes walk. John Anderson who was associated with the worlds first passenger railway between Stockton and Darlington sensed an opportunity in Saltburn. 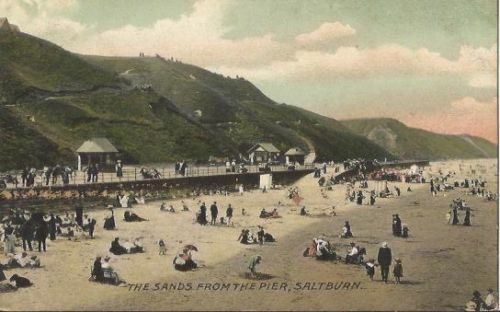 He soon formed the Saltburn Pier Company. After special permission was granted by Parliament work began in January 1868 with the plan for 1500 feet. 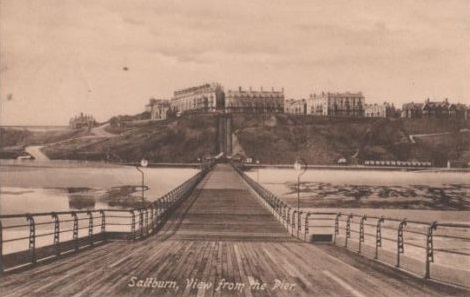 The pier was first opened to the public in May 1869. Within the first six months 50,000 people paid to walk the boards.